The history of Christianity in Lithuania, Latvia, and Estonia, the last part of Europe to become Christianized and the site of some of the most egregious Soviet and Nazi crimes, has been eventful like in few other regions. 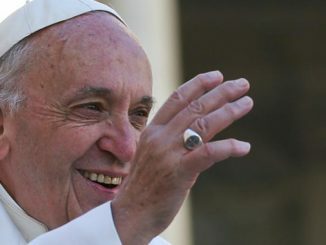 On September 22-25, Francis will become the first pope since St. John Paul II twenty-five years earlier to visit the Baltic republics of Lithuania, Latvia, and Estonia, a cultural and religious melting pot populated by Catholics, Protestants, Orthodox Christians, and non-believers; Lithuanians, Latvians, Estonians, Russians, and Poles. As the total population of these small countries does not exceed six million and they have spent most of their history in the shadow of their larger neighbors, most American readers know little about them. Yet the history of Christianity in this land, the last part of Europe to become Christianized and the site of some of the most egregious Soviet and Nazi crimes, has been eventful like in few other regions. In his book Native Realm: A Search for Self-Definition, Czesław Miłosz, the famous Polish essayist and poet who was born and came of age in present-day Lithuania and a great admirer of the Lithuanians, calls the people of the Baltics “the redskins of Europe” and “the last pagans of the Western world.” In the thirteenth and fourteenth centuries, the Teutonic Order, a Germanic order of friar-knights founded during the Crusades, unsuccessfully tried to convert the pagan tribes in present-day Lithuania and Latvia using the sword. Christianity came to Lithuania, the only Catholic-majority Baltic state (according to the most recent census, 77 percent of Lithuanians identify as Catholics) through the marriage of St. Jadwiga (Hedwig), Queen of Poland of the house of Anjou, and Jogaila (Władysław Jagiełło in Polish), the Grand Duke of Lithuania, which set forth the process that would result in the creation of the Polish-Lithuanian Commonwealth, a religiously tolerant and multiethnic state that stretched from the Baltic to the Black Sea. 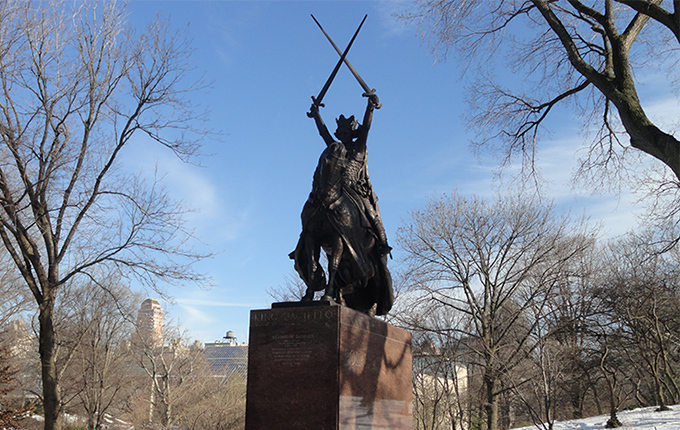 Jadwiga was just twelve at the time of her marriage to a man she did not love, yet she married Jogaila for the greater purpose of spreading Christianity. Upon Jogaila’s decree, the baptism of Lithuania took place in 1386. As in Lithuania, the Teutonic Knights had also failed to convert Latvia, at least in the twelfth century. By the thirteenth century, however, German missionaries had firmly implanted Christianity there as the country largely became part of the crusader state Terra Mariana or Old Livonia, eventually falling under Polish-Lithuanian rule in the sixteenth century. In Estonia, by contrast, the Teutonic Order did succeed in Christianizing the population in the thirteenth century. Ruled by Germans, Danes, and Swedes before succumbing to Russia, Estonia became a Lutheran-majority country at the time of the Protestant Reformation. Estonia was conquered by Russia in 1710, while in 1772, 1773, and 1795 an internally weakened Polish-Lithuanian Commonwealth was partitioned by its stronger neighbors: Russia, Prussia, and Austria. Thus the entire Baltic region came under Russia’s grip. Following the end of World War I and the collapse of the Russia, German, and Austro-Hungarian Empires, Lithuania, Latvia, Estonia, and Poland all regained their independence. The interwar era, however, did not bring peace to this region. After the Paris Peace Conference that ended World War I, Vilnius (or Wilno in Polish) was given to Lithuania. However, most of the city’s population was Polish, with a small Lithuanian population, and so in 1919-1920 the two countries fought for control of Vilnius and its environs (ultimately, Poland won, and the Lithuanian capital was moved to Kaunas). Interwar Vilnius was for three years the home of St. Faustina Kowalska, the Polish mystic who had visions of Jesus who told her about His mercy. Between 1933 and 1936, she lived in a convent in the city, where she had numerous revelations. It was there that Faustina met Blessed Michał Sopoćko, her spiritual director, and where Eugeniusz Kazimirowski painted the famous image of the merciful Jesus with red and white light coming from His heart based on the description the future saint gave him. The painting today is still in Vilnius, in the Divine Mercy Sanctuary. Whereas Lithuania lost Vilnius to Poland in the interwar period, Latvia and Estonia had to protect their new, fragile independence. In the spring of 1919, Germany tried to take over the two countries. After the Battle of Cēsis, an armistice was signed and German troops were expelled from Latvia and Estonia. Before Nazi Germany invaded the Soviet Union in 1941, Hitler and Stalin were allies. On August 23, 1939, the two totalitarian powers signed the Ribbentrop-Molotov Pact, named for their respective foreign ministers, Joachim von Ribbentrop and Vyacheslav Molotov. A secret protocol divided up Eastern Europe into German and Soviet spheres of influence. The two powers agreed to divide Poland in half, while the Soviets were given Finland, parts of Romania, and all of Lithuania, Latvia, and Estonia. On September 1, 1939, Nazi Germany invaded Poland from the west, leading to the outbreak of World War II. The Soviet Union followed suit sixteen days later and invaded eastern Poland. Two days later, the Soviets gave Vilnius back to Lithuania. In June 1940, however, the Soviets turned against Lithuania after its leaders had refused to allow the Red Army to build bases there and invaded the country, along with Latvia and Estonia. By August, all three countries were incorporated into the Soviet Union after rigged referendums were held. During the Soviet occupation of the Baltic states, tens of thousands of Balts were deported to gulags in Siberia near the Arctic, while large numbers of ethnic Russians settled in the capital cities of Vilnius, Riga, and Tallinn. In Estonia, nearly a quarter of the population was affected by the deportations. Above all the political and intellectual elites, including the clergy, were targeted. (For a good overview of the Soviet occupation of the Baltics, I recommend Latvian filmmaker Edvīns Šnore’s harrowing documentary The Soviet Story). As elsewhere in Europe, anti-Semitism was growing in the Baltic states in the interwar era. However, it really took off during the summer of 1940, when some local Jews welcomed the Red Army as liberators and collaborated with the NKVD, the Soviet secret police. Many Balts stereotyped the Jews as a communist fifth column and cooperated with the Germans as revenge. 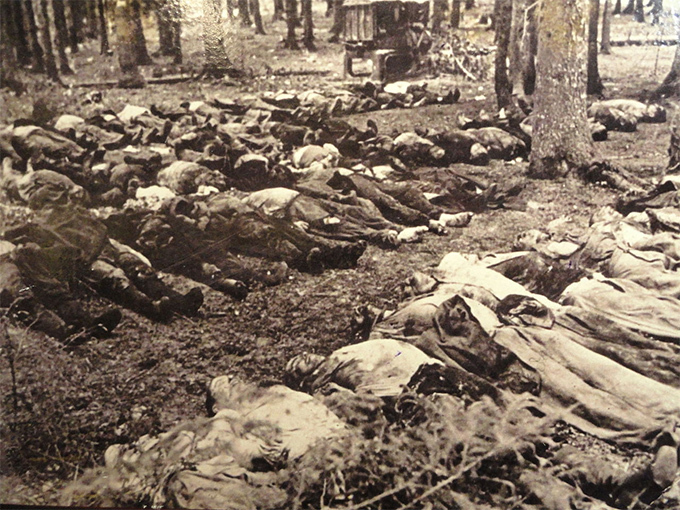 In Vilnius, Lithuanian nationalists and auxiliary police also took revenge on local Poles against the 1919 seizure of Vilnius: in the nearby Ponary Forest, German Nazis and Lithuanian collaborators murdered 70,000 Jews as well as up to 20,000 members of the Polish intelligentsia and Polish resistance. The story of the Catholic Church in communist Poland and its support for Solidarity, which was a key factor in the collapse of communism across Eastern Europe, is fairly well-known in the West. Few people, however, are aware of the fact that something similar occurred in the Baltic states, especially in Lithuania, amidst much greater persecution of the Church. During the Cold War, Lithuania found itself in the very heart of the atheistic Soviet Union. Thus the Lithuanians were subjected to much more aggressive atheistic propaganda and the Lithuanian clergy experienced much harsher persecutions than their counterparts in Poland. Shortly after the annexation of the Baltic states, one-quarter of Lithuania’s Catholic priests were deported to Siberia. The most famous Lithuanian martyr of the Soviet era was Blessed Teofilius Matulionis, who last year became the first person to be beatified in Lithuania. He was imprisoned by the Soviets several times for his resistance to the regime’s aggressive atheistic campaign. 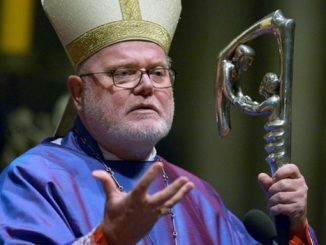 In 1962, shortly after the Vatican had informed him that he had been made an archbishop and that he would be invited to participate in the Second Vatican Council, he was given a lethal injection by the KGB. All this persecution did not stop the Lithuanian Church from heroically resisting communist terror. In 1972, a group of Lithuanian priests and nuns risked their lives to produce the Chronicle of the Catholic Church in Lithuania, the oldest and longest-running samizdat in the Soviet Union. 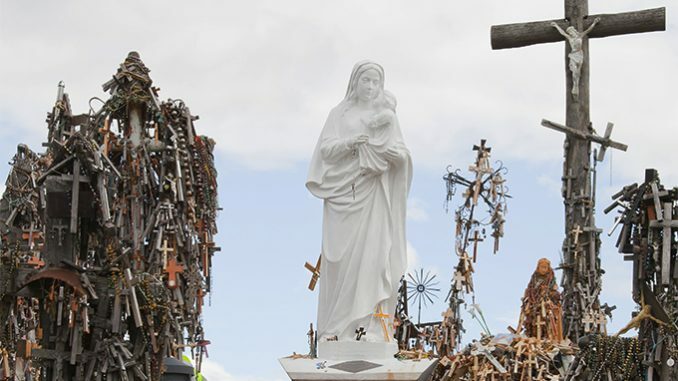 The most tangible manifestation of the Lithuanian Church’s courage is the Hill of Crosses outside Siauliai, where starting in the nineteenth century, when Lithuania was under Russian rule, the families of Lithuanian patriots killed fighting for independence would bring crosses. Today, there are 100,000 crosses in this unusual place, which was visited by St. John Paul II in 1993. Most crosses were placed there under Soviet rule to commemorate Lithuanian freedom fighters. Soviet bulldozers would often destroy them, but the very night that they disappeared, replacements would be brought there again, a testament to the Lithuanian people’s faith. 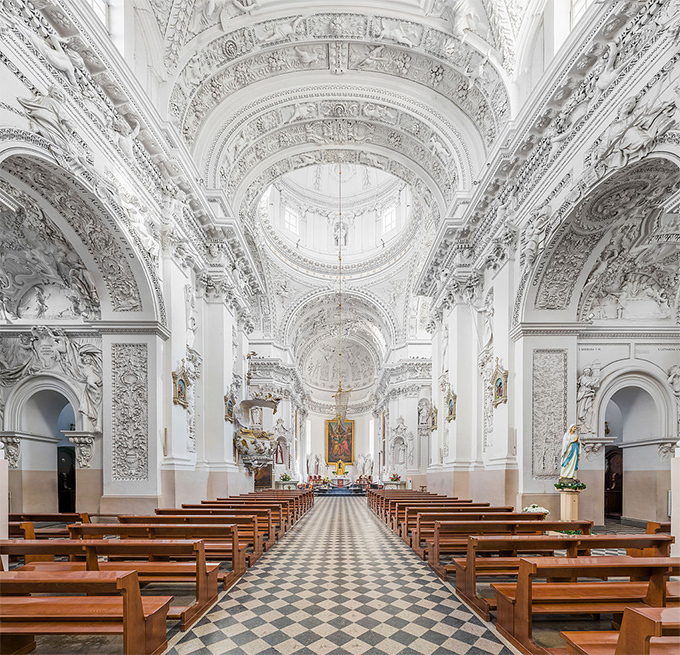 The Catholic Church in Latvia and Estonia was subjected to much of the same treatment as in Lithuania, but its social importance was smaller; Latvia is only about 25 percent Catholic, while Estonia is home to a mere 7,000 Catholics. The largest concentration of Catholics in Latvia is in the Latgale region, home to a large Polish minority. Under Soviet rule, the Latvian Church was an underground one, like the Greek-Catholic Church in Soviet Ukraine. In 1950, the religious education of Latvian youths was banned. 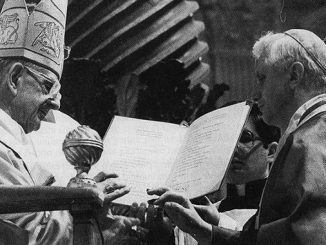 In 1961 people under the age of eighteen were banned from becoming altar servers, singing in church choirs, and taking part in religious processions. Thus, in addition to the parishes that were not closed by communist authorities, the family was where many young Latvian Catholics learned the faith. Despite these repressive measures, however, Soviet authorities allowed for the operation of just one of two Catholic seminaries in the entire USSR in Riga (the other was in Kaunas). Of all the fifteen former Soviet republics that gained or regained their independence in 1991, arguably the Baltic states have been the most politically and economically successful. They are all members of the European Union and NATO, and their living standards are much higher than in any other part of the former Soviet empire. The three Baltic republics enjoy among the highest economic growth in the EU, and their business-friendly economies have adopted the tenets of classical liberalism: Skype was invented by Estonians, while former Estonian Prime Minister Mart Laar has said that the only book on economics he read before becoming head of government was by Milton Friedman. However, not everything is rosy. First, the relative prosperity has not trickled down to all segments of Baltic society. As a result, after independence the three countries’ birth rates tumbled, and after they joined the European Union massive numbers of young Balts emigrated. The Baltic states are among the world’s fastest shrinking countries; since 1991, Lithuania’s population has plummeted from 3.7 to 2.8 million, a decline of one-quarter. This, along with growing secularization, has led to a fall in vocations. When John Paul II visited the countries in 1993, he was met with enthusiasm, which led to an ephemeral religious revival. By 2001, the number of first-year seminarians in Lithuania had surged to sixty-six, double the typical number under Soviet rule. By contrast, just eleven new seminarians were accepted across the country this year, four in Kaunas and seven in Vilnius. If Lithuanians do not practice much, they do maintain a strong cultural attachment to Catholicism. According to a recent study of sixteen to twenty-nine-year-olds in eighteen European countries by St. Mary’s University, Twickenham, London, young Lithuanians were the second national group with the most young adults identifying as Catholics (71 percent, second to Poland’s 82 percent) and had the third smallest proportion of “nones” (25 percent; only Israel and Poland had fewer non-religious youths). However, only five percent of young Lithuanian Catholics are weekly Mass-goers. Meanwhile, a survey of Lithuanian parish priests conducted in 2009-2013 reveals that less than twenty percent of Lithuanians go to Mass once a month or more, but forty percent go to Mass on Easter and Christmas. Traditionally Protestant Estonia, meanwhile, is one of the world’s least religious countries. A recent WIN/Gallup International Poll reveals that just sixteen percent of Estonians “feel religious;” only in communist China and Japan do fewer people describe themselves as such. Latvia is only slightly more religious; according to a Pew Research Center Study, it is the tenth country with the fewest people identifying with a religion. The Baltics are an ethnically and religiously diverse region. Most Lithuanians are Catholic, as is the Polish minority there, which makes up 6.6 percent of the country’s population. Meanwhile, about 5 percent of the population, mostly ethnic Russians, consists of Orthodox Christians and Old Believers. One-third of Latvia’s population is Lutheran, while about a quarter is Roman Catholic and one-fifth is Orthodox (mostly Russians). Russian Orthodox also make up about 16 percent of Estonia’s population, which mostly consists of culturally Protestant non-believers. Catholics in the Baltic states have had a dramatic history, particularly in the past century. The Hill of Crosses outside Siauliai is evidence of the tenacity of their faith amidst persecution. Since independence, however, they have fallen victim to the same processes of secularization that, to varying degrees, all Western societies have experienced. Let us pray that, much like John Paul II’s visit twenty-five years ago, Pope Francis’ pilgrimage to the Baltic republics will help Catholics living there to rediscover their roots. Are you shure that the Teutonic Order was a Germanic order of friar-knights and this Teutonic Order tried to convert the pagan tribes using the sword? I am not a Pagan. I am a CINO due in large part to the pedophilia disgrace and its’ disregard by the hierarchy. Am I considered a Pagan because of my position? Will I know a Pagan when I see them? Much like Trump and his being consumed with the need to attend as many Republican rallies at the cost of flying Air Force One on taxpayer’s expense instead of attending to urgent government policy needs, Pope Francis needs to do the same and cancel his Baltic visit in these dark times. Dear CINO. Nice to read your comment. One thing nice about the CINO category is that you have lots and lots of company. The recent church scandals provide a nice cover for being lax in ones faith. Your can conveniently ignore the 96% plus priest who are faithful and provide endless hours of service to all Catholics, including CINOs. The other really great things about being a CINO is not having to learn more about the faith; like the Mass, going to mass; praying for the church and the clergy; or just learning about church history. Nope being on CINO means you can live in eternal smugness and pay attention to real important stuff like NFL, MLB or NCAA games or whatever else your into. The only catch is when CINOs and for that matter when all of us die, God will be are judge, so not sure being a CINO will be in the plus column. Grand. I have studied church history and I don’t like it. I am particularly displeased with man made rules. Married men or women clergy, Purgatory, indulgences, annulments and Limbo, et al. They must leave the metaphysical behind. I have also study church history. It is certainly messy. You would think God would have just made everyone in the church saints, but it doesn’t work that way. I go by the fact that the Holy Spirit, as Christ said guides the church. Not that man can get in the way and mess things up. But like the Council of Nicea, the Church gets thing right, eventually. Those that that don’t like it can create there own church or join one of the thousands of other churches out there. Just an observation, but I have noticed in the Chicago suburbs that have masses in Polish, the Church is packed and it is not even Christmas. While it could be a cultural issue to attend mass in your language is the reason for the high turnout, it seems more spiritual to attend crowed mass, even though I cannot understand the Language. It probably helped to have a revered Polish Pope. Whatever it is, wish some of the Polish spiritualty that seem evident in those Polish language masses would spill over to the American side.